It’s that time of year again when Australian travellers are spoilt for choice with a wide range of 2014 earlybird airfares now on offer to Europe. But for families, choosing the right airline to travel such a long distance is almost as important as the holiday itself. As any parent knows, flying with children can present some challenges, especially when travelling for almost 24 hours straight. So why not break the journey? Dubai offers the perfect stopover for you and the kids to pause and recharge before continuing your journey. Emirates offers flights to Dubai and beyond daily from five Australian cities, with flights touching down at the Emirates hub, a purpose-built facility created to transform your travel experience with faster boarding and great facilities on both sides of your journey. Dubai is an ideal family destination. Think endless sunshine, azure water, fine beaches, super-sized shopping malls and out of this world attractions and you’ll get an idea of what the city is all about. It’s one of those destinations your kids will not be able to get enough of. As you’d expect, there are numerous five star resorts and hotels in Dubai – but there are still plenty that won’t break the budget. If your stay in Dubai is long enough to need somewhere to rest your head, but short enough to make you wonder whether it’s worth finding a hotel, then you should try the Dubai International Hotel. Located at the airport, you can be off your plane and checked in before you know it. The contemporary, clean and comfortable hotel is a great place to lay your head for a nap between flights and it’s completely hassle free. You can also hop on a quick city tour to check out the main sights before you need to board your next flight. If, however, you have a few more days to spare, it’s worth finding a place to stay that is central, so you can make the most of the city attractions. You may find the flexibility of a serviced apartment suits your needs the best as they offer great value for money. You get more space than a hotel room and you can cater for yourselves from the local supermarket if you’re on a budget, or eat out at different places if you fancy experiencing what Dubai has to offer. Pearl Marine Hotel Apartments are located about thirty minutes from the airport and offers great views of the waterfront. Close to plenty of restaurants and shops, it’s an ideal spot to choose as your base. With options of studio apartments through to three bedrooms it can cater for larger families without the costs of purchasing multiple hotel rooms. It has a pool and WiFi, so you still get the sort of facilities you’d expect from a hotel, just with more freedom. The Ascot Hotel Apartment is another apartment option. Located in central Dubai close to the main attractions, the serviced accommodation is both affordable and convenient. There’s a café on site and you can order room service, which is great if you want to relax after a long journey. If you’d prefer to stay in a hotel, the Premier Inn Dubai Silicon Oasis is a trusted brand that offers affordable accommodation. It offers a free shuttle to the beach and shopping malls, and has a rooftop pool so you can kick back and relax between theme park visits. Dubai could easily entertain your family for a fortnight – there’s so much to see and do, no matter how old your children. 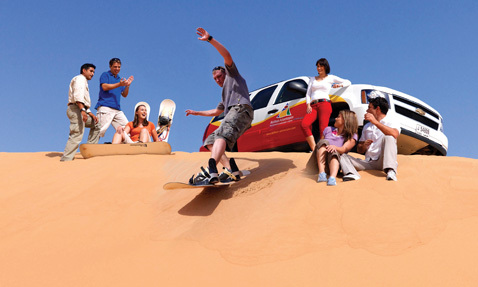 You can learn about the country’s history, tradition and nature on a cultural tour or a desert adventure (where older kids will love sand-boarding). Aquadventure – this enormous water park has 42 fun-filled rides. Brave the near vertical slides that catapult you into shark-infested lagoons, experience your first uphill water rollercoaster, ride the 1m high rapids on the tidal river that runs through the park, chill out on the beach or play in the splash park with your little ones. Dubai Aquarium and Underwater Zoo – this 10-million litre tank is the largest suspended aquarium in the world and home to thousands of aquatic animals. There’s a 48m walk-through tunnel providing amazing views under the tank. Visitors can take a glass-bottomed boat ride or try a cage snorkelling experience. For the adventurous members of your family, there’s even a shark dive. SEGA Republic – this giant indoor theme park contains 14 adrenaline-fuelled rides and over 170 of the latest amusement, video and arcade games including motion simulators, classic games and competitive tests of skill. This place will have the kids entertained for hours. 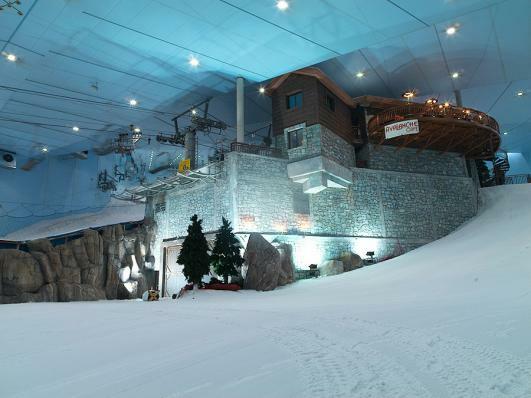 Ski Dubai – an indoor ski slope is probably not what you expected to find in the desert city, but Ski Dubai has created perfect conditions to hit the slopes. Whether you want to take lessons or brush up your skills, a day here will be a hit with the whole family. Throw snowballs, try your hand at snowboarding and indulge in big mugs of hot chocolate. When you’ve finished, take off the woolly hats and thick coats and step out into the beautiful sunshine. Wild Wadi Water Park – located next to the stunning Burj Al Arab, Wild Wadi offers 30 rides and attractions for all ages. With huge pools, wave machines, sun decks, slides, rides and surf simulators, you certainly won’t get bored. Find about these places and more and start planning your Emirates flights and Dubai stop-over now.